Security systems is a growing need in many churches, synagogues, and many other places of worship. Security systems for some churches and other places of worship are not required. However, many places of worship that are implementing the idea are finding that their security problems are waning. Creating a security team is an excellent idea, but would it be worth forming if mass chaos breaks out and there is no plan in place to help if security is breached? Think about it, having a plan in place during a time of panic is crucial in making sure people stay safe and orderly. Those who know what to do in a time of emergency can most often become survivors of that incident. Run, Hide, Fight is a great tactic to use in a last ditch effort to stay safe. If you adopt this methodology in your place of worship, then it should frequently be practiced. This Methodology is being practiced throughout the country and has proven to keep people safe. Your place of worship should have an escape plan in case of a fire or an emergency. As a leader, it is necessary to determine which exits are appropriate for the different groups of your congregation. It is also necessary to create alternate routes for the various areas in your facility if a zone becomes the point of danger. You do not want people running toward harm’s way! There are two options if you are in the part of the facility that is in danger. You can hide in the best location you can find, or you can choose to fight. If you decide to hide, or your area goes into a lockdown situation, choose a place you feel will help you stay as safe as possible. Stay there and wait until help arrives. It is important that this area covers your entire body. Do not choose a place that will leave any part of your body exposed. Finally, you should not choose a hiding place that will harm you or others. This option is often the last resort in this particular methodology. Unlike running or hiding, fighting has a much higher risk of injury. Moreover, the threat of injury is there, but that does not mean that this option should not be used. When you start fighting, there is no other option for you. You have to stand your ground until the threat has ended or you see an opportunity to run away from the threat. When you fight, you can use any means possible to stay alive, and you can use whatever is near you to help ward off the threat. Do not try to BE A HERO, but fight to STAY ALIVE. If running or hiding is an option, use those options first. How do Different Types of Security Systems for Churches Work? Security systems for churches vary in functionality depending on the type of system features offered. Many church organizations will often ask their current alarm company to provide them with a hard-wired security system (a “traditional” panic button). However, these types of hardwired security systems alert only one responder. The average time for responders to be notified of an emergency situation with traditional panic button systems is around three minutes. Conventional security systems also do not give confirmation that the alert from the panic button was received by responders. 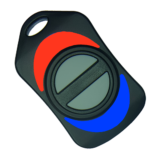 Moreover, these types of traditional panic buttons often fail to alert responders, which leaves the potential victim in a very vulnerable situation. On the other hand, technology-driven security systems give religious organizations the ability to alert multiple responders with just a push of a button. Computer-based security systems dramatically cut down on response time during a crisis. This type of instant notification allows authorities to dispatch responders the moment an alert is received. 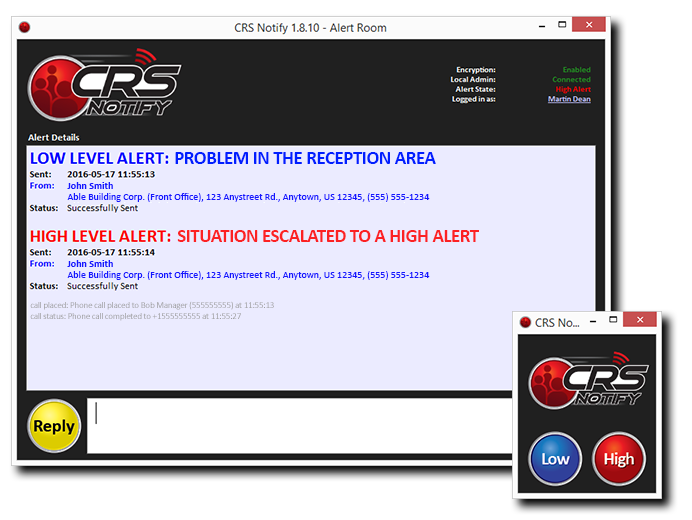 These next-generation security systems also let you know that the alert was received by responders. There is no hardwiring involved and setup only takes a few minutes. Also, these wireless security systems are always evolving striving to increase safety and security. A panic button security systems software is rather inexpensive, which will not drain your church budget. Saving money is always a plus because the funds you save can be used in other outreach programs for your community. What is the Main Reason to Have Updated Security Systems for Churches? The idea behind having security systems for churches is to lower the time between the onset of an incident and when responders are on the scene. The goal is to notify responders rapidly. This allows for a quick de-escalation of any crisis, which lowers the opportunity of victimization. The large time delay of the traditional security systems is the reason why these buttons are rapidly becoming discounted and ruled ineffective by responders. There are many benefits tech-driven security systems offer that other safety and security tools do not. Setting up software security systems in the common areas of your church increases security. Also, this type of setup allows members and staff to quickly access the security system in the event of an emergency. Quick access to these security systems cuts response time down to mere seconds rather than several minutes. Responders also have the information provided by the alert system to handle the emergency more efficiently. Security systems for churches are not very expensive to install. Minimal effort is needed to set up these programs, so daily office activities are rarely disrupted. Technology-based security systems are icons disguised in the tray icons or on the screensaver of your computer workstation. Equally, many security system providers offer optional hardware devices that can be easily hidden from a criminal during a volatile emergency situation. Which in turn, also provides the peace-of-mind needed to operate a safe worship environment. Why are Traditional Security Systems a Mistake? Many of the security systems for churches are activated accidentally, and no one knows which button location the alert originated. The traditional security systems for churches are still answered by responders with high priority. However, the delayed notification time on the traditional buttons that work proved to be ineffective for a rapid response. On average, it takes approximately seven minutes before help arrives on the scene. Seven minutes is a lifetime in a crisis situation. Therefore, making rapid notification is just as important and the response time of responders. Does Technology Offer Solutions for Church Security Systems? Yes! Technology has caught up and revolutionized the way people respond to situations. The increase in global and domestic terrorism creates a clear and imminent need to have security systems for churches. People believe mobile apps are the cure-all for these types of situations. However, an app is not solely the best option. Think about if there was an emergency. Would you have time to find your phone, open it, and locate the app to raise a panic? Phone app security systems focus more on individuals rather than buildings and people inside. The key for an effective security system for churches is to lower the notification time to responders and to integrate internal and external notification. Integrating internal and external notification means that it notifies everyone within the church while alerting responders at the same time. Internal and external notification should be merged into the push of a button. Still Unsure About Church Security Systems? Contact us for more information to make the best decision for your church security system.